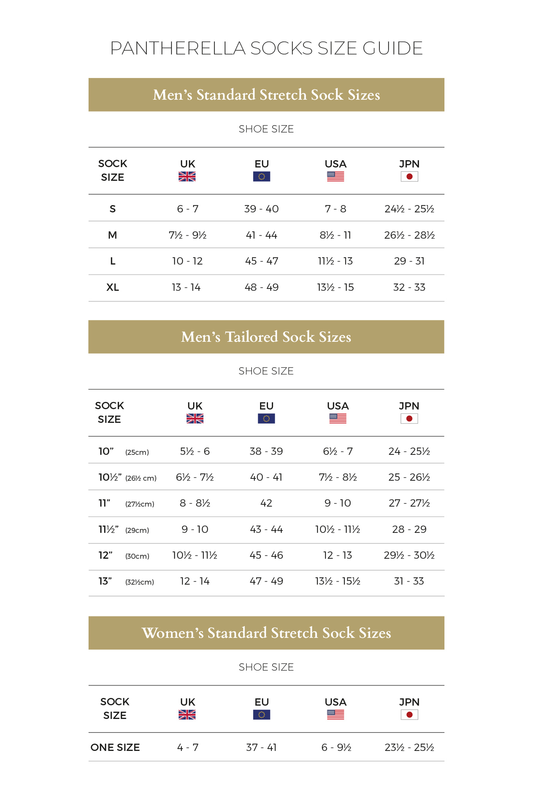 Solid colour dress socks are a classic and elegant choice for everyday wear. An ideal wardrobe essential, the Vale 5x3 Rib solid-colour tailored socks from Pantherella give you refined comfort and fit. Made from superfine gauge, 100% mercerised cotton lisle. Pantherella's tailored socks are akin to a bespoke piece of clothing, for the very best in fit choose Pantherella tailored socks. Designed to match your footwear size. Pantherella Fine Gauge Cotton Lisle Socks are knitted on a 200 needle, fine-gauge machine. Our Super-fine Gauge socks, made from 100% mercerised cotton lisle are knitted on a 240-needle machine - producing our finest gauge socks.